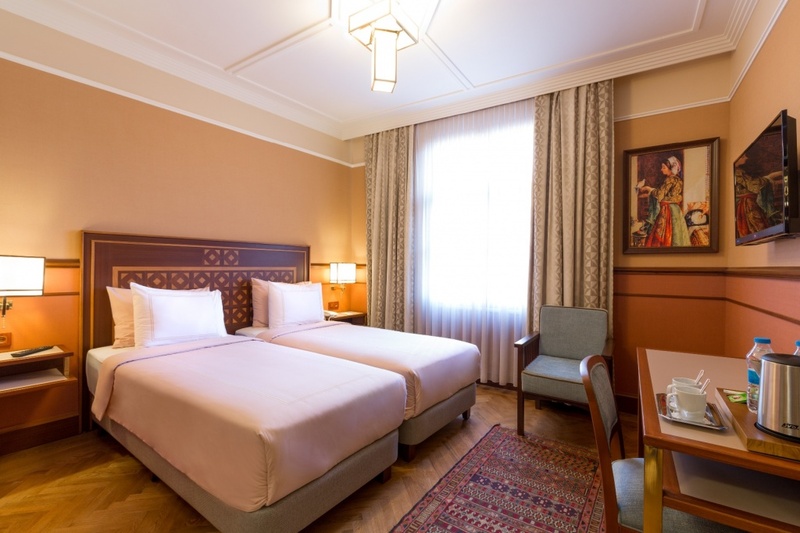 Deluxe room with balcony has standard queen size bed in the double room and sofas at the entrance. The deluxe room is approx. 30 square meters and has a balcony and bathroom with a shower. The balcony has partly city view. 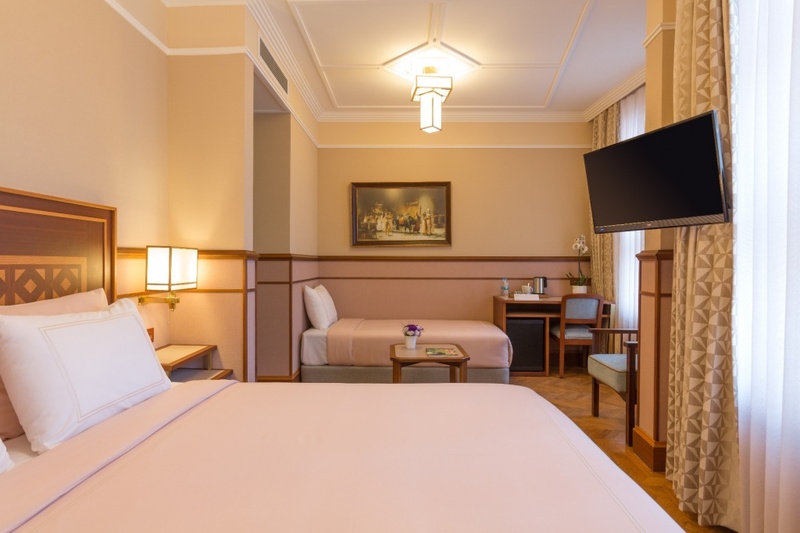 The deluxe room has hair dryer, air condition, mini bar, 2 LCD screen TVs (one at the double room, one at the lounge), bathrobe, towel, safe, desk, make up mirror, complimentary wireless internet, coffee and tea set up and a complimentary daily water. 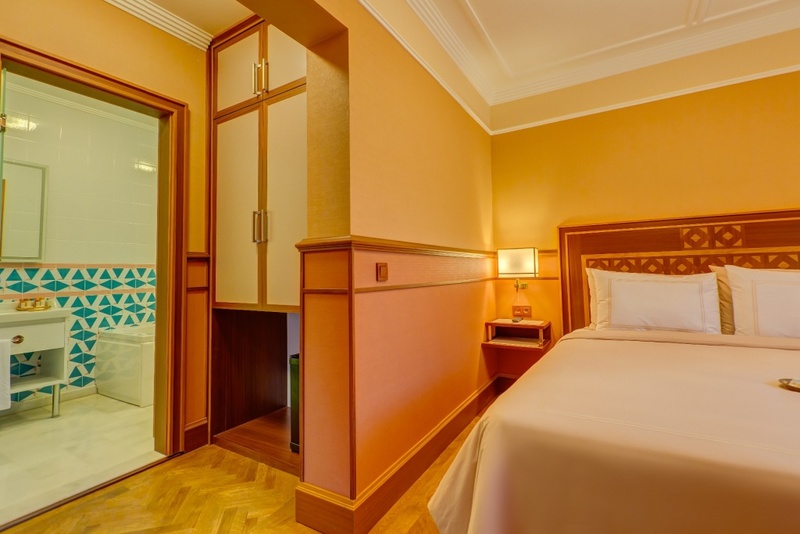 Family Suite has standard queen size bed in the double room and 2 sofas at the entrance. The family suite is approx. 32 square meters and has a balcony and bathroom has jacuzzi and shower. 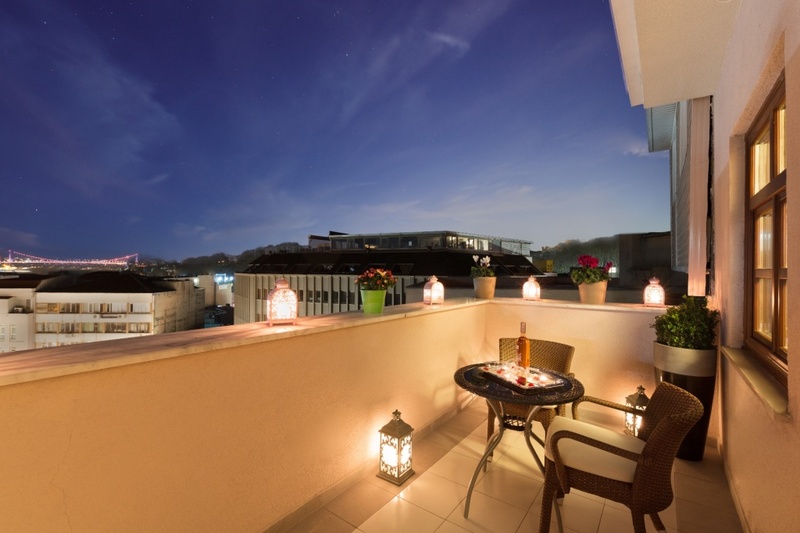 The balcony has partly city view. 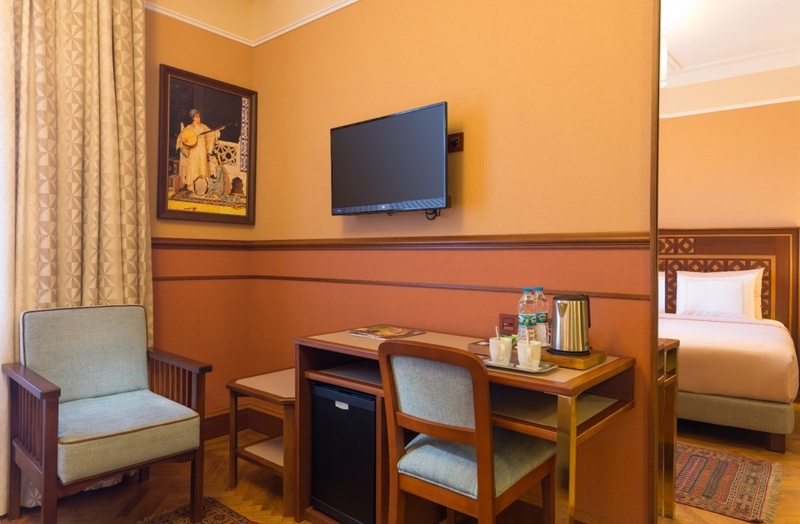 The family suite has hair dryer, air condition, mini bar, 2 LCD screen TVs (one at the double room, one at the lounge), bathrobe, towel, safe, desk, make up mirror, complimentary wireless internet, coffee and tea set up and a complimentary daily water. 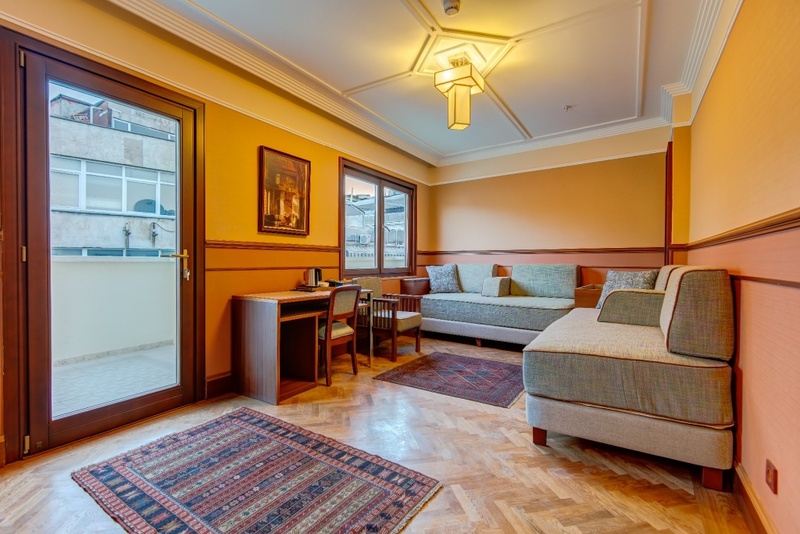 Superior Triple Room has standard queen size bed and a sofabed or 2 single beds and a sofabed. The triple room is approx. 26 - 29 square meters. This room has partly city & street view. The superior triple room has hair dryer, air condition, mini bar, LCD screen TV, bathrobe, towel, safe, desk, make up mirror, complimentary wireless internet, coffee and tea set up and a complimentary daily water. Superior Twin Room has 2 single beds. The twin room is approx. 22 - 27 square meters. Superior Double Room has a queen size bed. The superior double room is approx. 22 - 27 square meters. 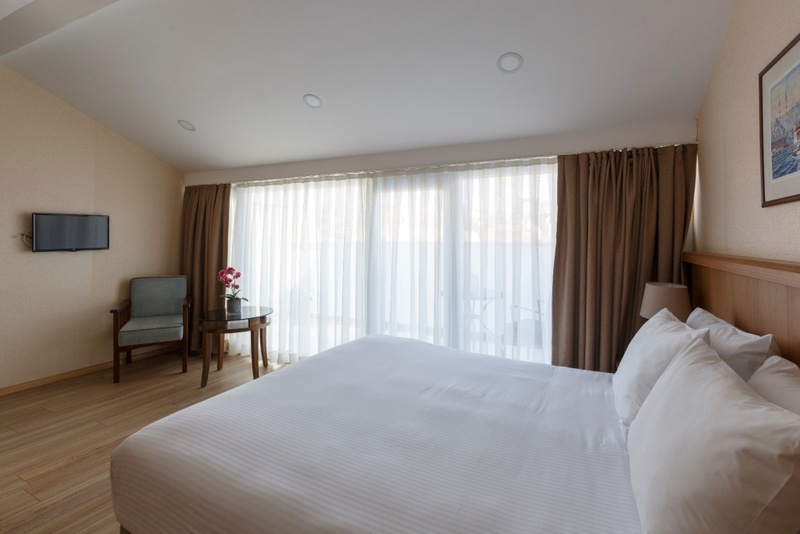 The superior double room has hair dryer, air condition, mini bar, LCD screen TV, bathrobe, towel, safe, desk, make up mirror, complimentary wireless internet, coffee and tea set up and a complimentary daily water. Junior Suite Room has 1 double and 1 sofa bed. This room is interconnecting. The room size is approx. 22 - 25 square meters. 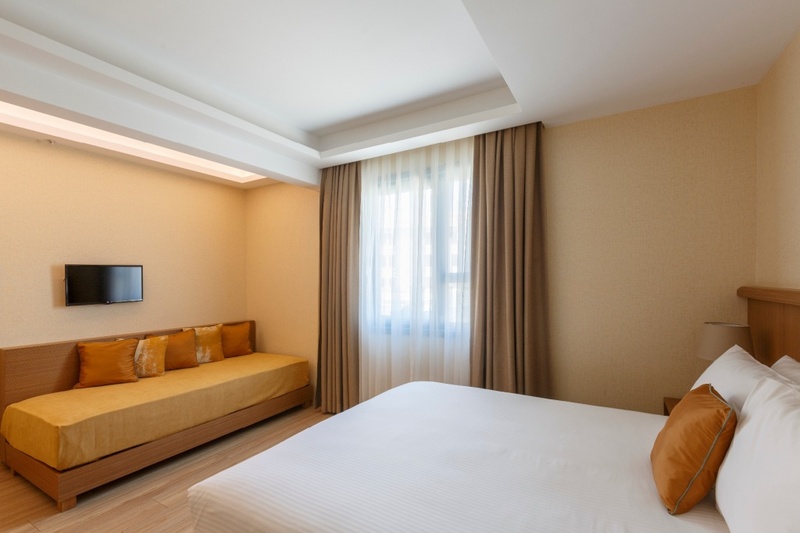 The junior suite has hair dryer, air condition, mini bar, LCD screen TV, towel, safe, desk, make up mirror, complimentary wireless internet, coffee and tea set up and a complimentary daily water. Double Room has a queen size bed. The double room is approx. 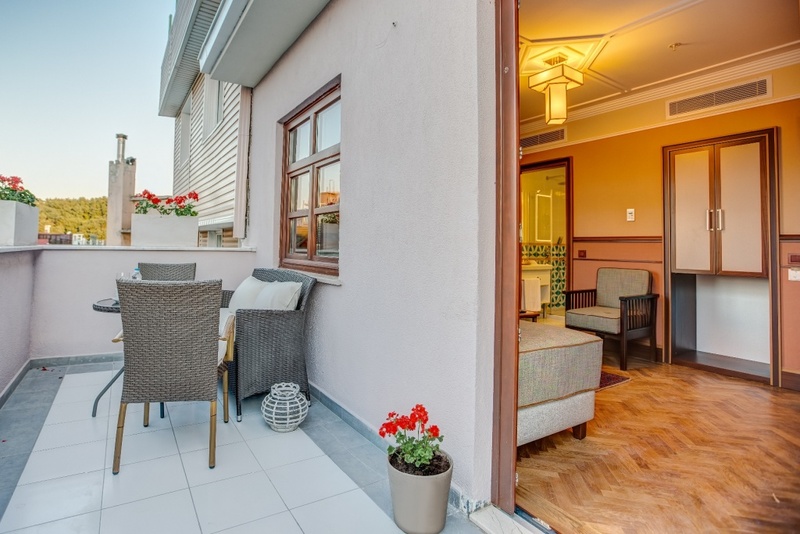 20 - 23 square meters. 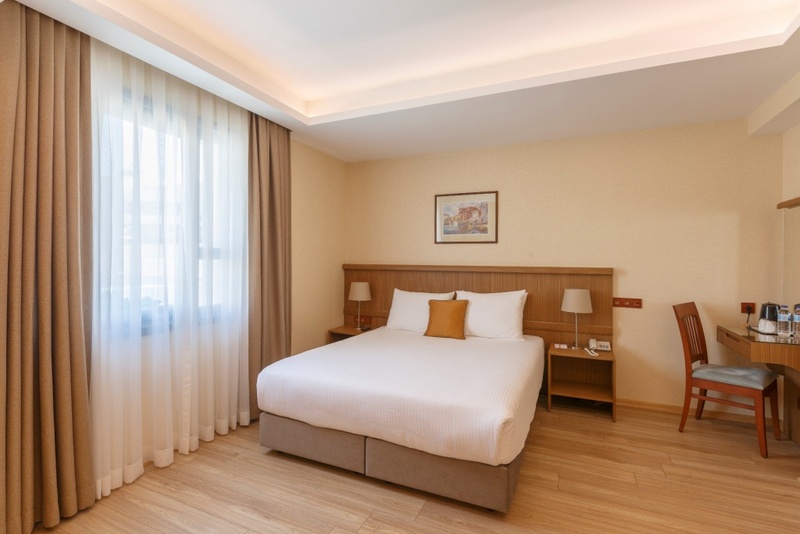 The superior double room has hair dryer, air condition, mini bar, LCD screen TV, towel, safe, desk, make up mirror, complimentary wireless internet, coffee and tea set up and a complimentary daily water. Triple Room has standard queen size bed and a sofabed. The triple room is approx. 23 - 26 square meters. 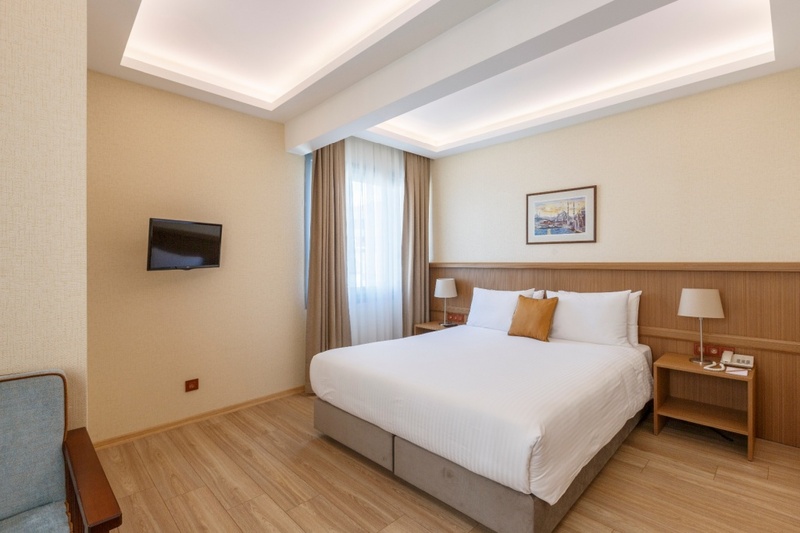 The triple room has hair dryer, air condition, mini bar, LCD screen TV, towel, safe, desk, make up mirror, complimentary wireless internet, coffee and tea set up and a complimentary daily water.